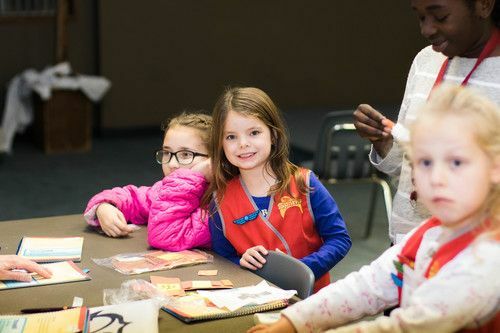 On Monday nights we have an AWANA program that meets from 6:15pm-8:15pm from September to May. This program is for kids ages 3 years old to 6th grade. Kids can expect to enjoy crafts, games, snacks, music and teaching from God's Word. We also have numerous adult volunteers to help run our Awana program and make sure all our kids are safe. Come join us for a Monday night! 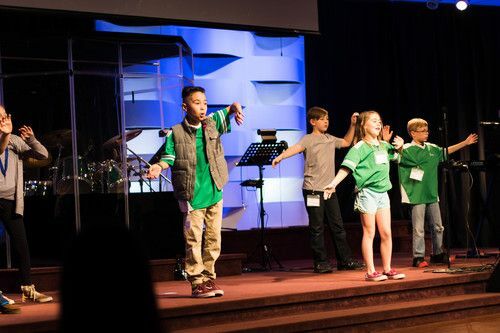 Every Summer we invite Pre-school through elementary-aged children to enjoy an amazing week of entering into amazing Bible stories, games, crafts, drama, and worship--all being centered on a fun-filled theme. We would love it if you would consider having your little ones join us for our next Vacation Bible School. Children, along with their parents, are encouraged to attend our annual family camp, which endeavors to strengthen church families through captivating teaching, fun activities, and time away as a church community. Every February we host a winter camp for kids in grades K-6th on our church property. Our camps always have a fun and engaging theme, accompanied with crafts and memorable games. 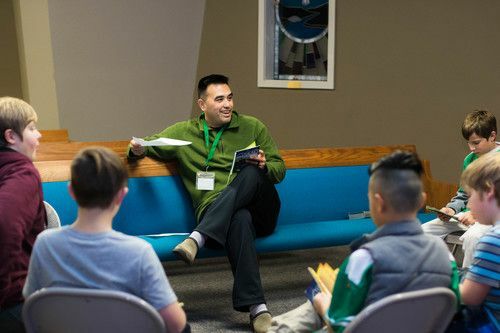 Most importantly, however, our camps always have a biblical focus to help children learn about God, the Bible, and the Gospel of Jesus Christ. Our nursery and Pre-K children's ministry rooms are located downstairs in our Worship Center. 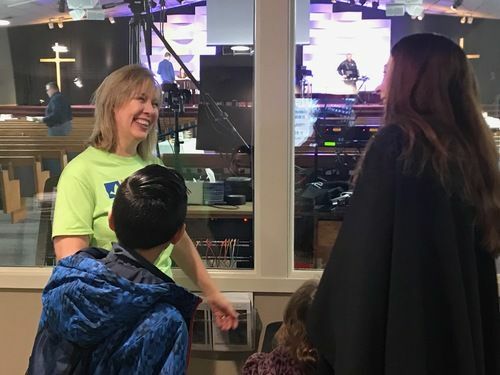 After you check your kids in through our KidCheck system, you can bring them downstairs and drop them off in their classrooms before heading back upstairs for our worship service. Our K-5th graders join us for the first part of our worship service. We believe one of the best ways to teach kids to worship God is by modeling it for them. This is why our children worship with us in song each and every week. However, prior to the sermon kids are dismissed to their classrooms, located in the building next to our Worship Center. How do I Check My Kids in on Sunday Morning? All children must be checked in during our Sunday School hour at 9:15am and during our Worship Service at 10:30am using our KidCheck System. 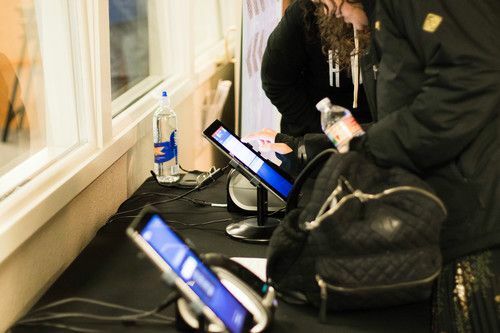 All children ages 0-5th grade must check in at one of our KidCheck kiosks located in our Worship Center. Simply enter your phone number into one of the tablets and a security sticker will print for each child in your family. Multiple volunteers will be available to help you check in your kids (look for someone in a bright green T-shirt). They can help you register your children, help you find the right classroom for each age group, and answer any questions you may have. We take the safety and security of the children in our service very seriously. KidCheck helps us know how many kids we have on campus and where they are at all times. It also ensures that all children are released to the adults that checked them in. Be sure to present your Guardian Receipt when picking up your children from their classroom. You are able to register your family for KidCheck from our tablets on Sunday morning. However, to make things simpler you can create an account by going to go.kidcheck.com right now! Now all you have to do is type in your phone number when you check in your kids on Sunday morning. It is our joy and privilege to partner with you! We endeavor to come along side you to ignite a passion in your children to know, love and serve Jesus Christ through imparting biblical substance, encased with the understanding of child development and vibrant and engaging educational practices. Throughout all of our ministry to children, we utilize screened, well-trained staff, along with a computerized check-in system for nursery nursery-fifth grade children.